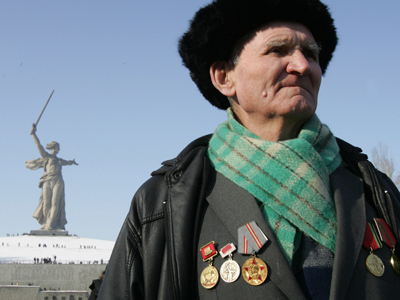 Russian lawmakers said the city of Volgograd will regain its wartime name – but only for six days a year. Stalingrad’s first “return” marks the 70th anniversary of Stalingrad Battle victory as Russia remembers the events that turned the tide of WWII. From now on, the southern Russian city will be referred to as “hero-city Stalingrad” during memorial events, local deputies have decided. The name will be used symbolically, and only on the days when historic events related to World War II are observed, the officials said. This effectively means six days of “Stalingrad” a year. The decision was made to honor the contribution the city made to the war effort in response to multiple requests from veterans, local MPs explained. 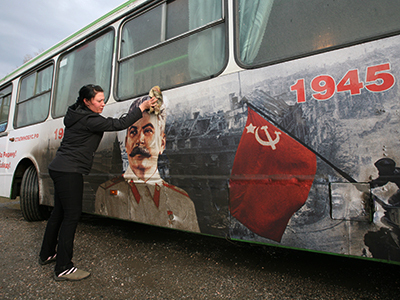 There is no connection between the move and an initiative by the Communist party to restore the city’s Soviet-era name, a Volgograd deputy told Interfax. Founded in 1589 and originally named Tsaritsyn, the city was renamed after Joseph Stalin in 1925. The name was changed to Volgograd in 1961 by Nikita Khrushchev as part of his de-Stalinization policy. But it is for the savage Battle of Stalingrad the city is best known both nationally and worldwide, supporters of the permanent name change argue. 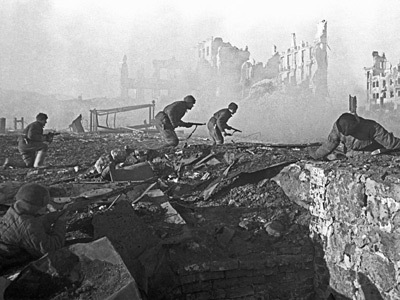 The Battle of Stalingrad was one of the major turning points of World War II. It lasted between August 23, 1942 and February 2, 1943. It was one of the bloodiest battles in the human history, claiming nearly 2 million lives on both sides. Volgograd is dotted with memorial sites dedicated to the staunch resistance of the Russian soldiers and population, such as Mamayev Kurgan, the Flour Mill, or Pavlov’s House, which became so symbolic they’ve been shown in movies and video games. Some of the prominent heroes like the Soviet sniper Vasily Zaitsev have also been dramatized in Hollywood movies. This Saturday, 70 years after the epic battle, Volgograd will host large-scale celebrations for victory in the Battle of Stalingrad. 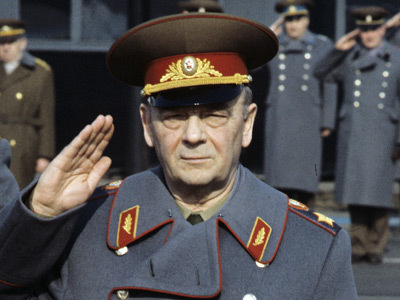 It marks the day when Nazi troops headed by field marshal Paulus fully surrendered to the Soviet army. 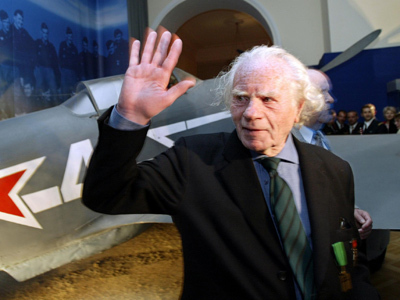 A military parade with 650 people marching, led by a legendary T-34 Soviet tank and the unveiling of massive celebratory salute will be among the events. Numerous street re-enactments are also anticipated, including a staged capture of a German field marshal and troops by Soviet soldiers. 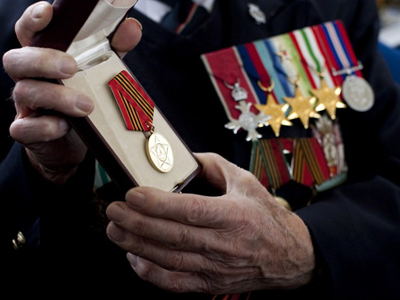 Great Patriotic War veterans, including those who fought at Stalingrad, will be among the most honored guests. Hundreds of volunteers from 27 regions of Russia are said to be taking part in organizing events for the surviving soldiers. Russian President Vladimir Putin said he will take part in the February 2 celebrations. He, however, will not attend a much-discussed Rammstein concert, the president’s spokesman said. The German rock band is said to have been invited to perform at the battle anniversary by a Russian biker gang, and has even promised to sing a song about Stalingrad in Russian. While some local officials have heavily criticized the mere idea of a Rammstein concert during celebrations, they’ve welcomed the participation of German classical musicians in the event. In the first symbolic performance of its kind, Russian and German orchestras will play together in Volgograd as part of the Music Against War festival.